SAGADA, Mountain Province, Dec. 27(PIA) — A new art hub in this scenic town has opened through the National Commission on Culture and the Arts(NCCA) with the Cordillera News Agency (CNA) and the Dao-as family . 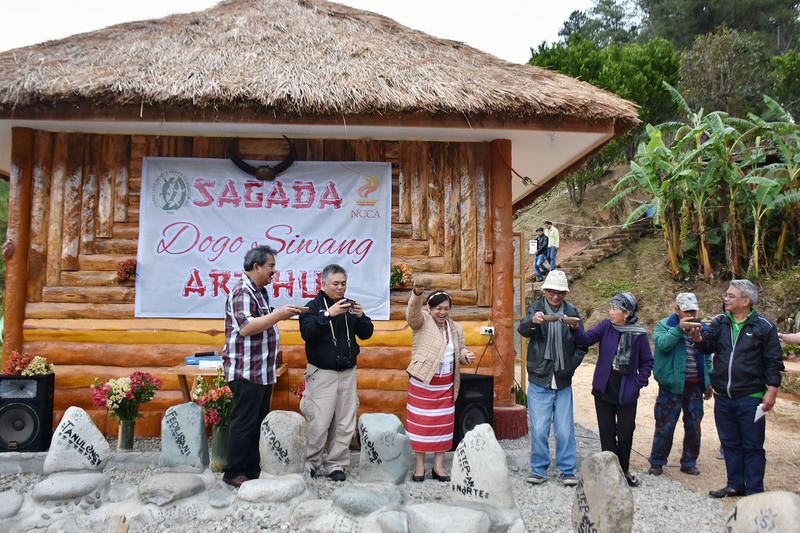 Traditional rituals were performed by elders to launch the newest art hub in town dubbed as the “Sagada Dogo Siwang Art Hub” earlier this month. The sangbo, which is a mandatory ritual of Sagadans, is believed to bring good luck and good health to house owners who have completed construction of structures. It is believed that the sangbo will prevent sickness to members of the household and bring good tidings to the newly built spaces. Religious blessing by the Father Charleston Buking of the Episcopal Church followed the e traditional rituals. Lawyer David Daoas said the art hub is aimed at championing the indigenous knowledge both for locals and visitors for the preservation and continuing exchange of knowledge, arts, culture and heritage. It is, he said, the contribution of the Daoas family to the municipality of Sagada particularly by providing a venue for imparting and propagating the art, culture and heritage not only of the people of Sagada but also of the Cordillera region. Located in Barangay Patay, along the road towards the famous Bomod-ok Falls and Bangaan Rice Terraces, the hub is modeled from the traditional low beamed traditional hut to house a collection of artifacts, traditional attires and artworks to be viewed by the public. The area is big enough to house small workshops and talks for students, artists and culture bearers. The “dap-ay”, a traditional gathering area for discussions and community talks, named after the owner “Annab,” is designed with 19 stone seats representing the barangays of Sagada. The area also offers an eco-trail that leads to the orange trees and tea shrubs which the public can partake of as well viewing benches and picnic areas. 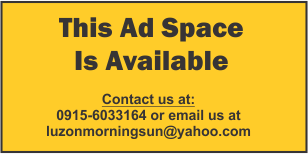 “This project is for everybody especially for artists, culture bearers, and other art enthusiasts who want to share their knowledge, skills and talents especially for the youth,” Daoas said. “We feel proud and humbled in this endeavor of providing an art hub in Sagada through the NCCA,” CNA Vice President Domci Cimatu said in his message. The art hub is the second engagement of the NCCA and the CNA following the successful conduct of the Luzon Cultural Sensitivity Training and crafting of the first manual for coverage, producing a refined list of cultural protocol and “dos and don’ts” in covering and writing about IPs for print and broadcast media practitioners, social media bloggers and for educators. Sagada Mayor James Pooten expressed gratitude to the NCCA, CNA, and the Daoas family for providing another venue for artists, tourists as well as locals for the town. Pooten noted that the new art hub will also be a new tourist destination which teaches tourists to understand and appreciate the art, culture and heritage of Sagada and the Cordillera region.